Locate the testator's will and obtain certified copies of the death certificate. The death certificate is available through Alabama's Department of Vital Records. You may also be able to secure copies from one of several Internet services that will order them for you for a fee. The funeral director will also have copies, although they may not be certified. File a petition to open probate, available from the court clerk in the county where the testator resided. Complete the petition, give the clerk the original will and one of the certified copies of the death certificate and take an oath of office as executor. The clerk will give you letters testamentary -- documents that allow you to legally act on behalf of the estate. Safeguard any of the testator’s assets that require probate. You will have to identify them, locate them and move any smaller items to a secure location. If the testator did not leave a spouse or immediate family members who lived with him, you should lock his home to keep it and anything inside it safe. Make sure insurance policies are up to date. Locate documentation pertaining to bank accounts, stocks and bonds, insurance and investment accounts. When you have a comprehensive list, file an inventory of the assets with the court. Notify the testator’s creditors of his passing and that the estate is in probate. This will involve sending written notice to those of whom you are aware and publishing a notice in a newspaper for any others that may come forward. The courts in some Alabama counties will post the newspaper notice for you for a fee. The creditors will begin to make claims against the estate once they receive notice and you will have to determine if they are legitimate or if you should reject them. Pay all legitimate debts and any taxes due for the estate and for the testator’s last year of life. Prepare an accounting for the court that includes everything you have expended on behalf of the estate. The accounting should also include any income the estate may have earned during probate, such as interest payments on financial accounts. Close the estate. 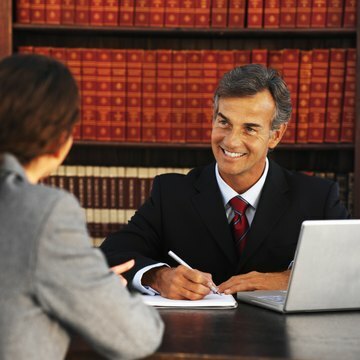 Once you have submitted your accounting to the court, the court will give you an order allowing you to close probate. You can then pay the administrative costs of the estate such as fees for the newspaper notice, court filing fees and any professional fees due to you as executor and attorneys and accountants you might have consulted. Finally, you can distribute the remaining assets and bequests to the beneficiaries named in the will. Fortenberry Law Group, PLLC: Is Alabama Probate Necessary?